Daily devotions with the children, I admit, have been hit and too often miss with the kids...until we found this gem.The Children's Bible in 365 Stories by Mary Batchelor.The Bible comes to life for my children as I read them stories from the Bible in a setting they comprehend. 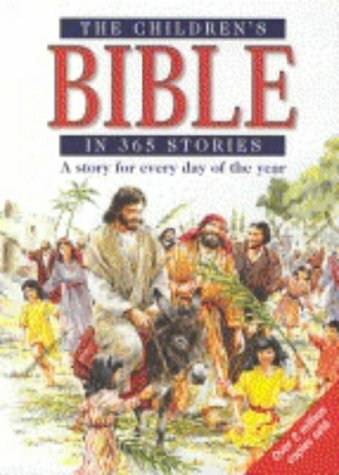 The stories of the Bible are broken into 365 manageable readings - one for each day of the year.However, my children prefer that I read a story though completely.The breaks allow me to pause and go over any questions they already have about the story.The most exciting part for me is that later in the day they can correctly answer questions about the story! The illustrations are intriguing as well, and help keep my children engaged as I read the story.They can explore the intricate artwork, and often ask questions about the picture to help deeper understand and remember the story. I would recommend this book to any parent looking for a way to begin devotions with their young children. I was happy with the book, and it got to me in time to take it to the birthday party, so I was very glad. This book came as my fourth attempt to procure a children's Bible for my 5-year-old.Previously examined children's Bibles were either too difficult for young children (and who thought of promoting a Middle English paraphrase to a young audience? )or too dilute with ultimate loss of the biblical message (but let's hear it for the cartoonish illustrations).In the cases of the former, my son would lose interest thanks to the "thee"s and "thou"s stringing together awkward and inverted sentence structures filled with stilted vocabulary.Inexcusable for a modern paraphrase.In the latter, my son would lose interest because of lacking substance (i.e., the absence of biblical truth or moral lesson).This book gets it right.The written material accomplishes what a children's bible should (i.e., biblical teaching) and the illustrations are quality -- not the all-too-common goofy character depictions that detract from seriousness of any underlying message.My son looks forward to our nightly Bible readings; moreover, he is absorbing the material and valuing it. This Story teller is a necessity for adults as well as for children. The typography, lay-out, illustrations, syntax and semantics are extremely good. 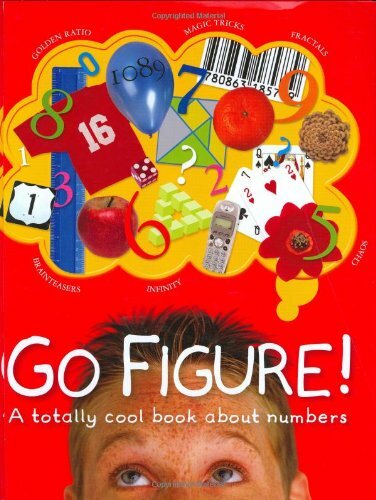 Got this for my daughter, age 9, who thinks she hates math.She loves this book!Bright, colorful, full of great pictures, wacky facts, and fun puzzles, this book is great for any age.Highly recommended! Here's a rare find: A lively, colorful, intellectual book about math for kids (or indeed anyone who can do basic arithmetic). Author Johnny Ball begins at the beginning, with a review of the many ways that different cultures reckon numbers. Base ten? How about base 20 (in cultures where people count on their fingers AND toes)? Kids also get to see how different systems for writing numbers--from Egypt to Rome to India to the Mayan empire--developed. And Ball presents all sorts of intriguing topics, including pi, magic squares, primes, geometry, topology, logic, and fractals. The book is bursting with helpful illustrations and peppered with questions, thought problems, cool math shortcuts, and activities. For example, the reader learns how to prove that a triangle's angles add up to 180 degrees (by drawing a triangle on paper, tearing out each corner, and then fitting them together along a straight line). But I don't really see this as a shortcoming. The book is designed to be a brief introduction, and Ball's presentation should inspire the curious reader to track down more information. (1)	Some of the "brain teasers" are really just smart aleck riddles about how we interpret everyday speech--e.g., "How many birthdays does the average man have?" (Answer: One) or "How is it possible to push a large doughnut through a cup handle?" (Answer: Poke your finger through the handle and give it a push!") "Solving" such riddles depends on ambiguities of language, not logic or math. It's a bit jarring (and perhaps even confusing) to mix these with real math puzzles. (2)	Some of the instructions for the brain teasers are vague and this might frustrate kids and/or make them conclude that they don't "get" math. Example: Kids are given a map and asked how many routes are possible between two points. But the "correct" answer seems to assume that we're talking about efficient routes only--not every conceivable route. The disclaimers aside, this is an outstanding, unusual, fun, book that stimulates curiosity and "math play. "It's the sort of book that could change lives--steering smart kids into the "math track" and the career options that go with it. Thank you, Johnny Ball! Go Figure! - Who Knew? Totally cool book presented in a totally cool fun way.My whole family loves it. A Totally Cool Book like the title claims! This book really is cool and worth the money. I ordered through Scholastic and paid a little bit less. My intent was to be able to teach my 8-year-old, 3rd grade daughter some cool principles, tricks, games for math so she could improve. She's (surprisingly, right) not interested in the book really. I think she's just a little bit too young for it. But I loved the book. When we work over the summer, I will do a little bit at a time with her: Prime Numbers lesson, history of number systems, etc. Little chunks should help improve her understanding and I think ALL kids should be exposed to the lessons in this book early. This is the seed of a unique picture book that is part historical, part poetry, and entirely inspirational. 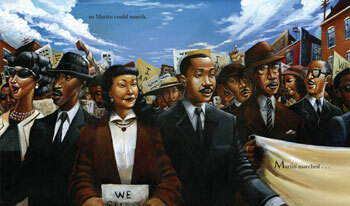 It takes the reader through the cumulative story of the US Civil Rights Movement, expanding the popular slogan beyond these three heroes to include more key players in the struggle for equality. Spare prose and vivid imagery make this a truly moving and accessible picture book to be savored by readers of all ages. 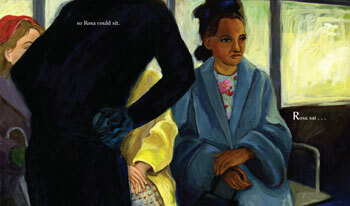 This gorgeous picture book takes young readers through the cumulative story of the U.S. Civil Rights Movement in poetry and pictures (click on any image to enlarge). 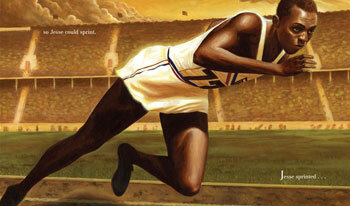 The illustrations introduce icons like Jesse Owens and Rosa Parks, as well as lesser-known figures in the struggle for equality. Spare prose and vivid imagery make this a truly moving and accessible book that readers of all ages will treasure. Many African American children might not know that president being African American is a big deal.In other words, they do not know that African Americans had to sacrifice so that he could reach this achievement. 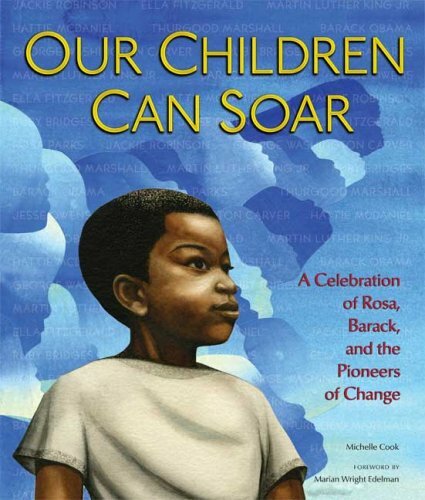 However, Our Children Can Soar provides young people with a historical overview that can be beneficial to their understanding of the historic figures that allowed Barrack Obama to become president, the book gives a brief biography of each person featured in the book, therefore, it teaches children to respect the past and honor the present. This is a beautiful book! It is a quick read and has gorgeous pictures. The time line, biographical information and connections between historical people to those of the present are excellent for such a short book. I saw it at our Scholastic Book Fair and had to have a copy. Unfortunately, there were only a few copies and they sold out! I was so happy to find this wonderful book on Amazon! This is a phenomenal book about some of the greatest pathmakers in American history! A soldier proudly stood ready to defend his family and envisioned those unfortunates who tried to escape with their families through swamps in an effort to evade being caught by a brutal slave catcher.This young soldier paved the way for the likes of George Washington Carver so he could revitalize southern agricultural crops.In turn, George paved the way so Jesse Owens could fly like the wind and make his people proud.Next Hattie McDaniel would hold her head up high and raise an Oscar in her hand.She was a winner! Ella Fitzgerald would sing from her heart and soul and pave the way for Jackie Robinson who would effortlessly glide into home plate.Rosa Parks, one of America's most precious treasures, did nothing but sit.It was an unsurpassed act of courage, seldom seen before or after.Ruby Bridges learned to be brave from those who came before her and marched up those school steps and endured countless jeers and threats.And then came Martin Luther King, Jr., Thurgood Marshall and Barack Obama.And so it is now said that "Rosa sat so Martin could march.Martin marched so Barack could run.Barack ran so our children can soar! "Watch out ... here they come! I loved this story.The text uses a "minimalist" approach with few words, but joined with the art work provides a very powerful message to all people.In the back of the book there are brief portrayals of all the people in the book, short notes on the professional lives of theillustrators and a quotation as to how they feel about the person they so beautifully captured in this book.Everyone has a purpose in life and, as illustrated in this book, unknowingly can pave the path for someone else to succeed. Since the first hungry wolf bravely approached an ancient cooking fire and was rewarded with a scrap of meat, our lives and the lives of dogs have been interwoven. 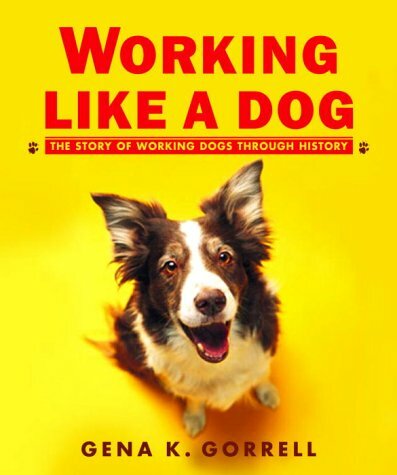 Dogs have worked for us as warriors with ammunition strapped to their bodies. Dogs have gone through snow, icy seas, and into the dangerous rubble of collapsed buildings to rescue us. Dogs, with their spectacular ability to detect odors, keep us safe by finding drugs and explosives. They lead us if we cannot see and react for us when we cannot hear. Most of all, they love us – and we love them. Who would solve one of the most perplexing scientific problems of all time? This dramatic picture-book biography brings to life – with illustrations that glow with wit and inspiration – the fascinating story of the quest to measure longitude. While the scientific establishment of the eighteenth century was certain that the answer lay in mapping the heavens, John Harrison, an obscure, uneducated clockmaker, dared to imagine a different solution: a seafaring clock. How Harrison held fast to his vision and dedicated his life to the creation of a small jewel of a timepiece that would change the world is a compelling story – as well as a memorable piece of history, science, and biography. 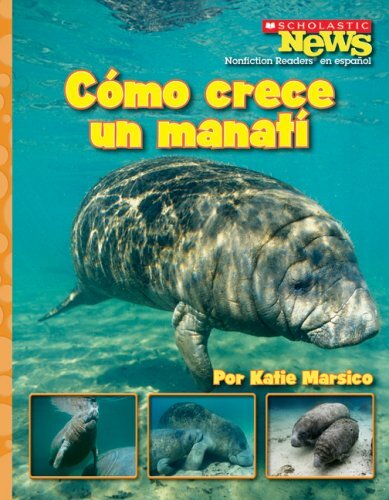 I love this book not only for the superb illustrations, but also for the important message that it relays to children.Perseverance, hard work, and scientific discovery matter, even when you don't receive the public acclaim and financial rewards that you may deserve. It was a good book, but I have read better books and worst books.It made me want to go to London to see the clocks that John Harrisson made. I would recommend it for people who want to know about history but don't like reading long books. 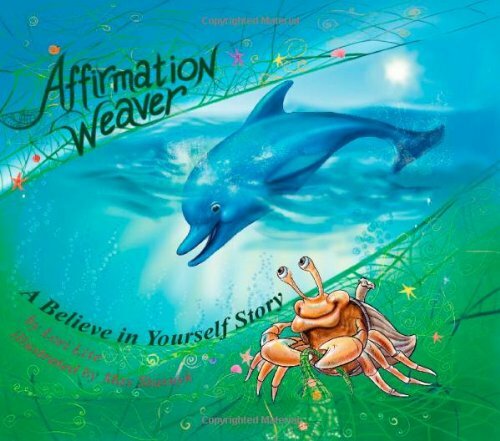 Read this book to children in ages ranging from 4-14 today.I told them I would go to Amazon and post their feedback: 4 year old boy:Kind of fun; 8 year old girl: Made me very happy and the dolphin finally knows he should be happy; Boy age 14:this book will help kids to believe in themselves and know they can do anything;Boy age 13: I liked it but think it should be good for kids 10 and under: Girl age 13: Teaches if you believe in yourself you can do anything.The kids loved this book and sat through the reading without interupting.I am a therapist that works with children and am very pleased with this book and the others in the series.Also, the Ocean Dream relaxing CD is amazing. Of the two Lori Lite books I recently purchased, I decided to return this one. It just didn't meet our needs or engage my son like the other story did, the other book being Angry Octopus. I found the story to be a little too long, and very repetitive, and as such by the time we finished reading it my child had already moved on to another train of thought. I wanted a book like this to be simple and powerful, getting right to the point of encouraging positive self esteem and affirming thoughts. This book just didn't seem to perform that task very well. The story was just too scattered, and didn't really use language that directly described the actions taking place - to put it another way, it was too hippy new-age in it's execution. I will qualify that by saying we are a very liberal, love/peace-driven family, and I have no problem with new age concepts or more unconventional parenting ideas. But when I couldn't even follow the story, I knew it would be a struggle for my son. As such, I knew it would be a frustrating read for us, and not really serve the purpose for which it was designed. And so for this family, it is better off being returned so we can focus on the stories we really enjoy. Great book, used it for my 6th grade students to help build self confidence. Had fun with it. Another great book by Lori Lite.We have the CD's as well and the books are a wonderful addition even for adults. I have been looking for a good fairy tale book for a long time.I was really picky with my purchase.I wanted a book with good older fairy tales and it had to have plenty good pictures with text.After blindly buying several on the internet that claimed to be what I was looking for, I purchased this book and I was very suprised.I gave it to my neice for her 1st birthday and I am planning on buying more of the same book to give to family members and one to keep for myself.I also couldn't believe, for as old as this edition was, how the book was in great shape. This turned out to be a nice collection for bedtime toddler reading--with some very short tales mixed with longer ones. My son really loves Stevenson's garden of verses. The art is a bit lacking and pretty much absent from some of the pages. That is my only complaint. Kids need more art to stay interested & give them something to look at. The book was in excellent condition. I purchased them for my grandchildren who live in another state. I did not see the book, but my daughter said the children were very happy and that the books were in excellent conditon. I was looking for a book that had a cross section of children's fairy tales and poems and this one is absolutely perfect. Plus the illustrations are beautiful! With its up to the moment content and engaging style, this major reference book is an essential resource that helps children relate today's news to the events of the past. 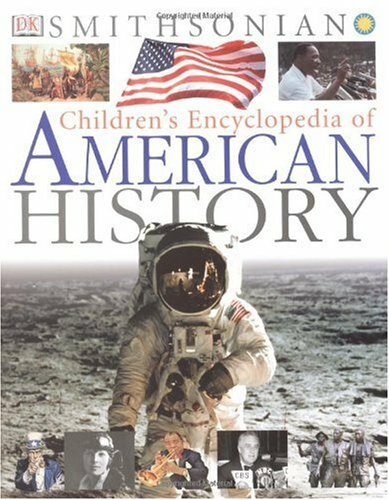 Focusing on the who, what, when, where, and how, DK's Children's Encyclopedia of American History is published in conjunction with the Smithsonian Institution to present a completely unique survey of the story of America. Featuring more than 1,000 stunning photographs, plus maps, charts, and profiles of famous Americans, this book has been painstakingly designed with a cutting edge visual style to pull in even the most reluctant readers. 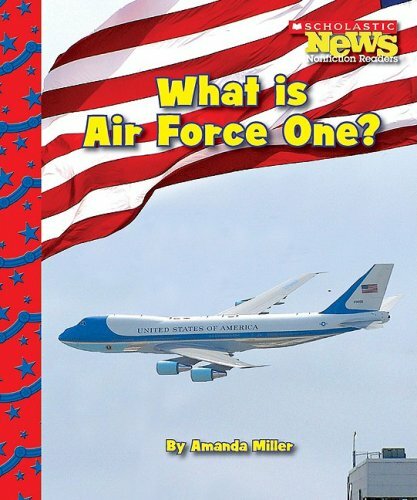 My kids needed a history book for their project and this fit the bill exactly, including an objective look at 9/11. This is not the be all end all book of American History. It is not an Encyclopedia of American History. This book is a good resource, a beginning, a place to find some information about American History. This book was not meant to be a text book for home schoolers. It was not meant to be the final authority on American History. If you are using this book as the sole means of getting information about American History; you will be missing out. You need to supplement this book with others that are specific to the time you are learning about. Other reviewers have noted what they consider to be faults. For example;they have mentioned the lack of in depth information on African Americans. There is a lack of in depth information on African Americans. There is a lack of in depth information on many topics and depending on your interests you might find information you would want in this book missing. Based on the space available and the age this book was written for (Elementary to middle school ages), this book covered a lot of information very briefly. It covered a few things more completely and a few things less than completely. Every author who writes a history book has a bias and that bias shows through often times to an extreme degree. I didn't find that this book demonstrated a bias to a large degree. 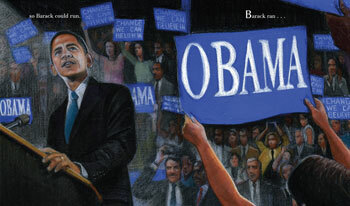 In fact, I believe the author tried very hard to point out positives and negatives of every age and year and president. That fact that other reviews have touted this book as too liberal or just right or conservative demonstrates that this book probably has hit the middle point between these views. I didn't see this book as very conservative nor as very liberal. The pictures are gorgeous and there are many many pictures and drawings and sketches. They are all well done. I bought this for my sixth grader to help him in his American History class, but my husband now keeps it by his bedside table. He likes that the information is insightful and well organized. It contains a lot of pictures so even my younger son benefits from looking through it. The only downside may be that there is not enough information provided for some of the topics; but it is a good starting place for reports. Save the biased view of American History. I wanted an unbiased view of American History .....FACTS and FACTS. Don't teach lies to children or your biased view........just facts is needed. Where are the Black contributions to American History? "Neither rain nor snow, nor sleet nor dark of night shall stay these couriers from the swift completion of their appointed rounds." The postman's creed, you say? Yes, but now it applies to a new group of people: mobile librarians. Margriet Ruurs, writer and educator, read a newspaper article describing the mobile library in the desert areas of Kenya. She began to wonder if children in other remote areas receive books. Thus began the scrapbook of mobile libraries from all over the world. After Ruur made the contact,librarians shared stories and photographs of their unique mode of book delivery. Ruur includes a total of thirteen mobile libraries. Each shows a two-page spread containing a map insert of the country's location, a box about the area, and the story and photographs of each mobile library in action. Because there are thousands of islands in Finland's geography, the library goes to the children by boat. In the northern Lapland region of the Artic, a book bus serves Lapp children in Finland, Sweden, and Norway. In Mongolia a book minivan and a horse-drawn wagon take books to the herders' children in the Gobi desert. In Azerbaijan a blue truck servesrefugee settlements. The children love their "library-in-a-truck." In fact, the librarian wrote: Because these children have nothing, not even school, "the mobile library is as important as air or water." Loaded with crates of books, elephants are library assistants in taking books to children in northern Thailand. Homeless children in Bangkok have access to a classroom and library in old, transformed train carriages in stations around the city. The most dedicated delivery of books occurs in Papua New Guinea, where trucks with four-wheel-drives go as far as they can. Then the librarians tote boxes of books on their shoulders for four hours. As they come to each village, they drop off books and medical supplies. In a few weeks they will repeat the process. Ruur leaves a few questions unanswered. Who funds these libraries? Who funds these books, as surely all are not returned. She mentions one foundation in Mongolia, where there is almost no illiteracy! Other readers may be curious and want to participate. Ruur makes clear the importance of the mobile library. What matters is that children are being served where they are. This is a very fine book about dedication at its best and and a promotion of the love of reading in the most unlikely places. Every school library in the United States should buy this book and every librarian should share it with her students, if only to show that children everywhere love books! What could be a more precious gift than learning to read?It's time for Santa to take second place!Do children today really lack interest in our'wider world'?Writers for newspapers & magazines frequently write about *GEOGRAPHICALLY-CHALLENGED*young people.Author Margriet Ruurs' book tells children of the many ways in which libraries are brought to the doorsteps of readers in thirteen far flung countries in this world. It isn't dry-as-dust information -- it is exciting & colorful;mind-boggling in some instances. Our Bloomington (IN) daily paper does print a map frequently with squibs of news from about ten 'hot spots' on this Earth. Everyone could gain by studying such a map & adopting a regular habit of "connecting the dots" between countries and happenings, and between happenings and long-term effects on individual lives, and our Universe. In Australia huge trailer-trucks are solar-powered & very high-tech, powering computers and air conditioning, plus. A librarian-storyteller travels with the materials and keeps kids' minds stimulated with stories.. In Azerbaijan (former Soviet republic) there are funds for sending library trucks to only two refugee settlements. In contrast beach deliveries of books are made in England with wheelbarrows! Native Inuits in Canada rely on the mail service with prepaid 'returns. 'Finland supplies a boat for service to outer islands, some of which are populated only during the brief summer. Indonesia provides boats & bicycles for deliveries. The most dramatic carriers are in Kenyawhere camels carry tents for 'setting up shop' with boxes of books . . . AND,in the mountainous areas of Thailand elephants go on 20-day round trips to make their deliveries!Imagine elephants instead of Bookmobiles here in the U.S.!It might awaken our sensibilities to the lengths some governments go to take*LEARNING* to the people. In Mongolia motor bikes have replaced camels & horses to deliver books; in Peru & Zimbabwe donkey carts are used. All over the globe in hard-to-reach areas people are making great effort to bring literacy to children & others hungry for learning.We can cheer, too, for inter-library exchanges to fulfill assignments, for research and/or just plain JOY. After reading a recent National Geographic poll we can see thatpeople's apathy is as serious as gaps in knowledge. Reviewer mcHAIKU believes this would seem pathetic, if it were not so frightening. CHEERS for Ruurs' engaging book that brings us a gift of optimism. How are books brought to children around the world? We're used to a library consisting of a building - but some move from place to place by bus, boat, and even animal or wheelbarrow. 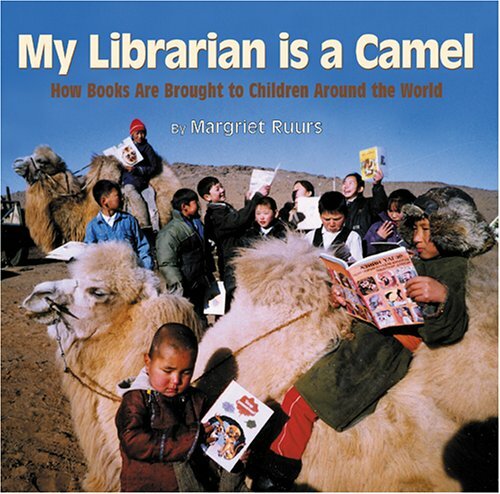 Mobile libraries are often the only ways books come to remote world locations - and My Librarian Is A Camel comes from libraries around the world. Margriet Rurrs asked librarians to share stories about their libraries: the result often was not only a verbal description and stories, but color photos: all of which are included in this lively, unusual, and enthusiastically recommended title. A sadly little known fact: 100 years ago children in this country followed Africans and immigrants as the slaves du jor. Who was their emancipator? Public school teachers, and specifically Lewis Hine, whose photographic work has had a comeback thanks to Neil Peart and Rush using modified photos of his in one of their videos (Working Those Angels). While the TV keeps lying about teachers and schools being the enemy (because educated people don't buy their crap or watch many of their shows), the descendants of those mine and factory owners get their revenge through their lackey politicians that continue to undermine schools financially, institutionally, and culturally (No Child Left Behind, less funding, name calling, etc.). This book will hopefully wake people (especially children) up to what 80% of the world faces to this day and make us realize we are the luckiest people in the world to have a school system where a child can choose whatever they want to be (unlike the so-called superior European and Asian school systems). The only other solution to this flood of ingratitude would be expatriation or time travel, both of which are impractical. Remember the true heroes, the ones who keep civilization afloat, who risked the death penalty teaching slaves, who are always targeted first in a military dictatorship. Stop the negativity and remember who the real bad guys are--anyone who denies you an education. I found and bought this book at the Goodwill and thought it would be nice for looking at the photographs, since we like to look at real historical photos in our homeschool.Well, I decided to start reading the book and couldn't put it down.It didn't take long to finish it and I really enjoyed it.It was a real eye-opener.How interesting that Hines had to sneak around and often hide in order to get his photographs.He might tell a shop owner that he needed a photograph of a machine, but then asked the child worker to stand next to it so people could see the large size of the machine.Of course, he was really showcasing the child who had to run the machine.He knew exactly how many inches from the ground each button on his vest was, so a child could stand next to him and he could quickly tell how tall they were.When most of the photos in the book were taken, there were over 2 million American children younger than 16 who worked 12 or more hours a day, 6 days a week, for pitiful wages under unhealthy and hazardous conditions. My youngest child is 5 and many of the photos were of children the same age, and younger, working in places like cotton fields or in spinner factories, many with bare feet.What a tragic life these children had, most not living very long.How would you like to work in a glass factory with the temperature in the building 100 - 130 degrees?The molten glass they worked with was 3,133 degrees!These glassblower assistants made about 65 cents a day; a pretty good wage back then.But, because it was so hazardous and unhealthy in the glass houses, these assistants usually didn't live past the age of 42 (I just turned 42 this year!). How sad to see pictures of the breaker boys in the coal mines hunched over, all day long, picking the slate and stones from the coal.The foreman would hit them on their heads or shoulders with a broom handle if he thought they weren't working hard enough.If they fell into the coal chute, they would quickly be smothered to death.Do you think shucking oysters or peeling shrimp would be easier?The shrimp oozed an acid that would eat holes in leather shoes and tin pails, yet children had to handle these with their bare little fingers.4-year old Mary could shuck two pails of oysters each day, making 10 cents.One mother and her 4 children worked in their tenement apartment making paper forget-me-not-flowers.All 5 of them sat working every day, all day long, working by the light of a kerosene lamp.The youngest, Angelica, was 3-years old and could make 540 flowers a day, earning her family 5 cents. 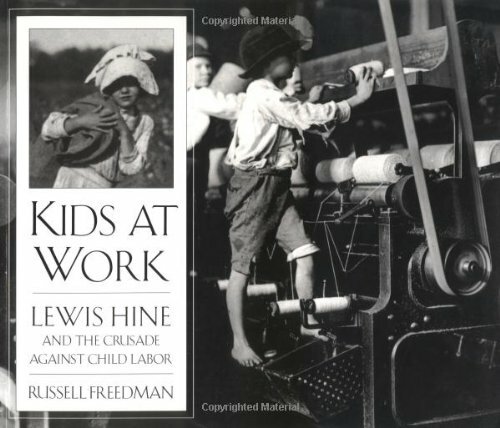 I think most children and adults today have no clue what life was really like for people back then; how hard they had to work for such little pay.I can't imagine my 5-year old doing what these kids were forced to do, let alone go without Nick Jr. for one day.I think this is an excellent book for children and adults to read and discuss.I plan on having my 14-year old read it this year for school.It's a book definitely worth reading and looking at. 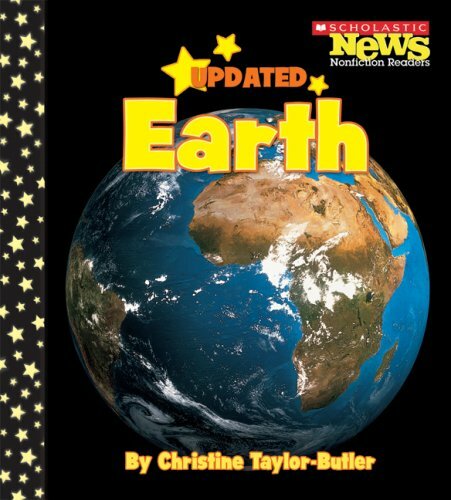 As a little girl this book was one of my favorites. It also changed my life. When I grew up I knew because of this book I'd want to be a photographer and help the poor. I know am a photographer and an inner city teacher along with working with street kids. The black and whites in this photo I still study. They are mouth dropping! Great book with good quality printing. This soft-cover book is written like a children's textbook, but Hine's photos look great all throughout. There are quite a few full-page prints, roughly 8x6 sized. I'm very satisfied with the purchase; only Aperture would print a book with better quality reproductions, and that's out of my price range right now. 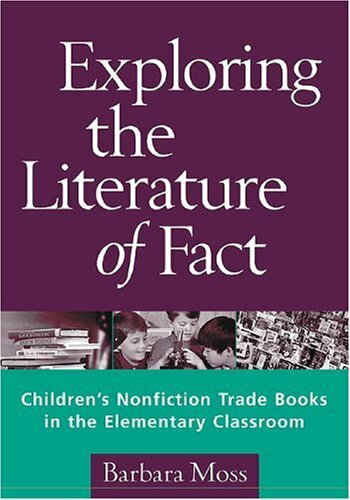 Unique features of the book include teacher-created lesson plans, extensive lists of recommended books (including choices for reluctant readers), illustrative examples of student work, and suggestions for linking nonfiction reading to the use of the World Wide Web. This is a must read for anyone who likes history and stories of the holocaust.Plan not to put it down until you are finished. I just finished another book about the Holocaust that mentioned children being smuggled out of the Warsaw ghetto in backpacks and I wanted to hear more stories about how children survived the Holocaust. 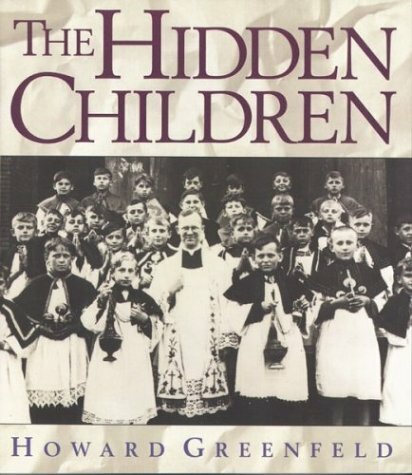 This book is considered juvenile non-fiction but the information is the same regardless of the reader's age.Howard Greenfeld does a very good job organizing the stories of children who were hidden during the Holocaust.He includes their stories in their own words as well as photographs of the survivors. A moving collection regardless of the reader's age. 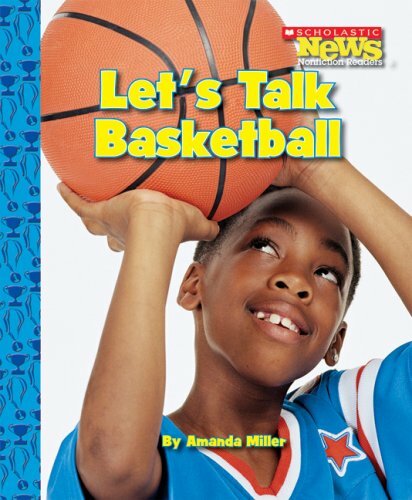 I bought this book for my son, Jefferson, who is 9 years old. When I looked through it, I started reading it, and just couldn't put it down. It is a wonderful book, of hardships like we have never known before, and survival of a wonderful religion and people. We are not Jewish, but I enjoyed this book immensely, and will be reading other books by this author. This book is great for adults, really makes one appreciate all that we have in this country; freedom first and foremost. For children, it is a great book to teach about hardships and compassion for others, as well as understanding history and the second world war. A DEFINITE 5 stars from me. Alcatraz Island is one of the most infamous places in American history. The maximum-security prison on the Â"Rock,Â" once home to criminals like Al Capone, Machine Gun Kelly, and the Birdman of Alcatraz, has long since captured our country's imagination. But what few people realize is that during the past 200 years, Alcatraz was not only home to criminalsÂ--it was home to many children, too! Over the years, the island has been home to the children of Native Americans, lighthouse keepers, military soldiers, and prison guards. Imagine playing hide-and-seek in the prison morgue, having a convict as your babysitter, or having Al Capone as your neighbor. This compelling photo-essay profiles generations of children who had the unique opportunity of growing up on this isolated island in San Francisco's shadow. With personal anecdotes, revealing interviews with the surviving Alcatraz Kids, historical documents, and archival and family photographs, Children of Alcatraz reveals a one-of-a-kind childhood sure to fascinate readers young and old. Brilliant- who knew there were children on Alcatraz? This book is an exciting look at Alcatraz. How many people knew that children lived on Alcatraz? Surely, not many. I love how Claire Rudolf Murhpy seamlessly includes enough detail to bring the island to life during each era of children living upon the island. With gangsters like Al Capone and the Bird Man living there, would you want your child living on the island? Find out the how and why of the children living there. Both adults and children will love this book. I had expected a bit more in depth description of the life of the children, so was disappointed.It was purchased for my grandson as he hopes to visit Alcatraz and felt it would give a new dimension to his understanding.It will, but not as much as I had hoped. Generationsgrow up"on the Rock". . .andtellthetale . 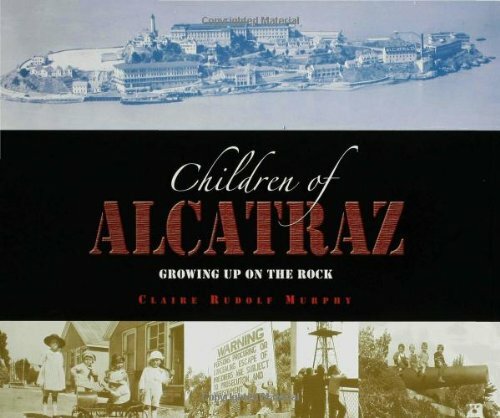 . .
Every reader who enjoyed "Al Capone Does My Shirts" should be steered to this book.Claire Rudolf Murphy gives a fascinating survey of the progression of "communities"at different times in history in her book about the "Children of Alcatraz." Following native Americans, the earliest families to live there were those of the lighthouse keepers in the 1850s, then the military came.When the island was transformed into a high security prison in 1934, the families of guards lived there until 1963.It isn't known whether any prisoner ever survived an escape attempt; the prison was considered a fortress, and the Bay formidable. There was another stressful period from 1969 to 1971 when Native Americans occupied theisland to protest the injustices of U. S. law. This protest lasted eighteen months. The stories of each group are of great interest and pictures are particularlyhelpful in implementing these.Reviewer mcHaiku is always surprised at the very small acreage of the island & the many buildings, including cell blocks, in close juxtaposition.Living in such extraordinary circumstances brought about close friendships and later reunions strengthened those unique relationships. Alcatraz Island is not so much a symbol of the city's past but more a multiple historic marker. Today, of course, it is a destination for curiosity-seekers, but all visitors will be surprised by the wide interest generated which can also stimulate many enthusiastic searches for more information via a computer or library. Author Claire Murphy may have inspired many readers to discover why the island was originally named "Pelican" - - and it had nothing to do with the "Birdman of Alcatraz" either. A fascinating survey adults as well as kids will want to pursue. I really like this book for describing what each part of the Catholic Mass means.It is not a follow along book for reciting the Mass prayers, but explains clearly what happens during the Mass and what each part means.I am giving this book to my two nephews for their First Communion next spring. I was excited about this book as I heard about this and others on Al Kresta's show. Overall, it was well done and I'll use it, with changes. First, page 42 says 'we bow before we receive.' Speaking of communion here. Unfortunately, most folks don't know this but standing and bowing comes from people not following the church and finally asking the Vatican for a special privledge. Even when the church started in the early centuries, they quickly switched from receiving in the hand to receiving on the tongue and on the knees after realizing the error in their ways. Receiving in the hand is really done in very few contries and is an indult. This means it's a special privledge but not at all the norm. I know the USCCB says it's the norm of the US but since this is an indult, which usually means, we will allow this for a period of time, I do not believe the USCCB should have made it a norm by anymeans. Now it has become a sacred cow. I beleive that with study on the Eucharist, anyone will come to the realization that there is no way we should be standing in front of this special gift to us left on Holy Thursday. In fact, I use to be a lay minister and will never do that again as I think only a deacon or priest should touch the Eucharist. After some study, the awe of this sacrament has overwhelmed me and I hope and pray others will search out the same truth. It truly is Jesus. Even the angels can not receive Jesus in this way. We do not take communion we receive it as a gift and I wish all would realize the specialness of this sacred and spiritual food and we all should approach on our knees, as children. All bent their knee at the sound of his name, should we not bend our knee when he is truly present in front of us. 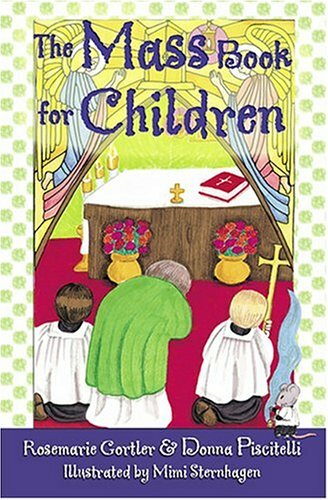 get this book for him first!The Mass for Children so beautifully explains basic concepts of the Mass, as well as dos and don'ts to little children.The book educates and inspires children to do what they are supposed to do at Mass, and for that reason alone is worth the read. This is a really cute book that explains the mass very well.I was only a little disappointed that it wasn't more step by step through the mass.I enjoy reading it to my kids before Mass but it is not a follow along with the mass kind of book.I am still looking for a great one of those.I had one when I was a little girl and it is falling apart so I can't give it to three kids to read during church. 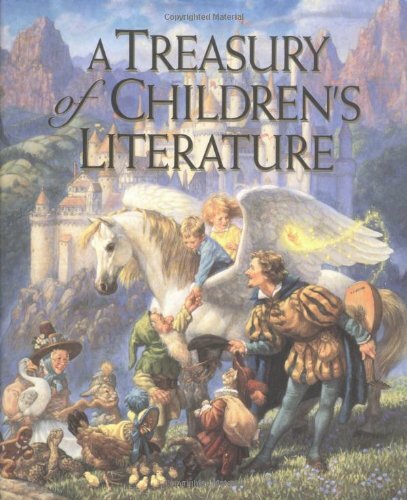 What a delightful experience you get with the Magic Tree House Books. Go on a magic adventure with your kids and there imaginations. Hands down winning by an easy victory for our Family!!!!!!! 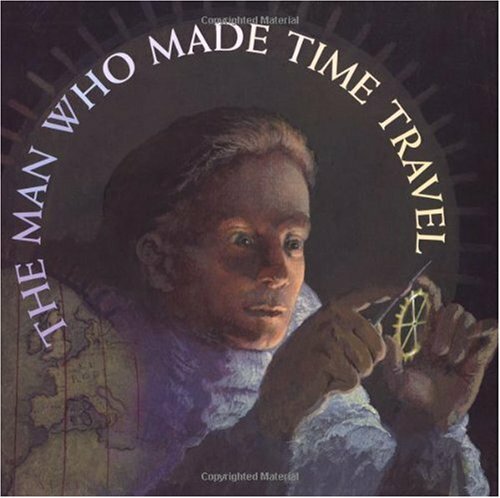 The books from Mary Osborne provide a nonfictional guide to life during an historical time period.They are not only informative, but accurate in their depiction of the era.These books are perfect for young readers! Received this and had my kid read it . . . before realizing that big sections were missing and some pages were printed twice.Check shelved copies, Amazon! Haven't had a chance to read this book yet w/grandson but we haven't been disappointed w/any of the Magic Tree House books yet!